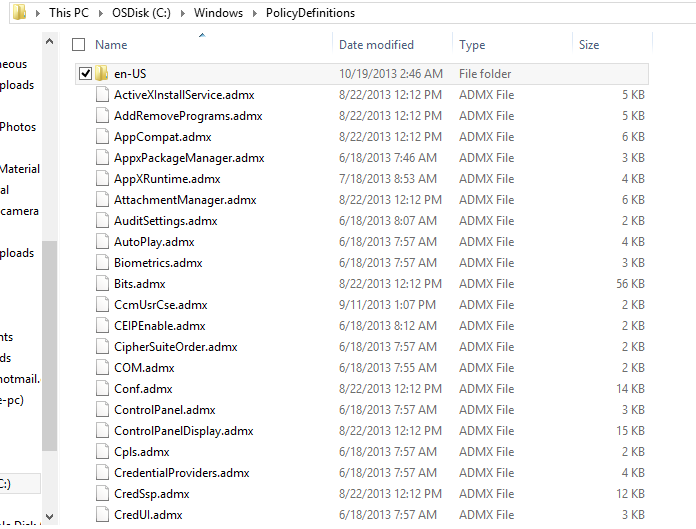 INFO: Group Policy Templates (.ADMX) files for Windows 8.1… where to get them from? Q: Where’s the Group Policy Templates (.ADMX) files for Windows 8.1? You have spreadsheets that are downloadable that go through what each policy is for Windows 8.1 but you don’t have a download for the actual .ADMX files themselves? This blog post we just published talks about the Windows 8.1 policies specifically. Ben Hunter, the Microsoft writer of the post says in the comments that the ADMX files have not been posted yet. I have our Client Specialist looking into what is the ETA is for a formal download of the packaged Group Policy Templates for Windows 8.1.